Add the high end look of a custom aftermarket dash kit - Wood grain, carbon fiber, and aluminum will give you the luxury look at a discount price. Our custom real wood dash kits are engineered and laser cut to fit perfectly over top of your existing factory parts. Each piece is poured and protected with our beautiful high-domed urethane top coat. 3M™5849 primer-less adhesive provides secure ‘lift & stick’ installation. And, you can style your dash kit with the finest selection of genuine and faux finishes available. Our exclusive installation system is that we package our flat dash parts on clear liner sheets, so you just 'lift & stick' saving you the time and trouble. Also, unlike other dash kits, 3M™ 5849 is the premium acrylic foam adhesive for our dash kits, featuring maximum bond-strength and built-in primer. Cheaper, 'alternative' dash kits require you to apply adhesive primer to each factory part prior to installation. This process is tedious and makes it very difficult to realign pieces without damaging the factory part or dash part. ShopSAR.com features the biggest selection and best quality in wood dash kits and dashboard trim available on the internet. 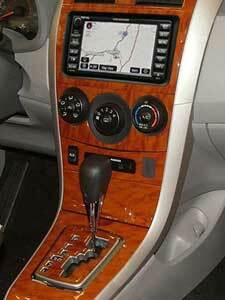 All of our wood dash kits are OEM Approved and are made from a variety of materials including Real Wood. We also offer Real Carbon Fiber and Simulated Patterns. In addition to meeting OEM specifications, our experienced engineering staff take pride in developing each wood dash kit with design, fit and ease of installation in mind. Our factory match upgrade wood dash kits are produced with the best possible color and grain match to compliment the vehicles original interior wood trim. And to make ordering simple and convenient, we try to include several part options in a wood dash kit so that one part number can be used for various interior options such as digital / manual climate control. If your existing dash is looking lackluster, ordering an interior dash kit from ShopSAR.com is exactly what you need to give your dashboard an instant facelift. Made from different materials, including real wood, our high quality wood trim kits meet OEM specifications and are developed to perfectly fit your existing interior’s design with a variety of color and grain options. The B&I interior dash kits we carry are designed for easy installation and offer several part options so that you can use a single part number for various interior options, like dials for digital and manual climate control. Take control of your vehicle and replace your old factory dash with a quality custom dash panel from SAR. Whether you are looking to finish out the interior of your vehicle or about to take on a complete overhaul with a brand new dash, ShopSAR.com carries high quality real wood dash kits for cars. Laser cut to fit directly over existing factory parts, custom dash panels are a quick and easy upgrade that will dramatically alter appearance and add an air of luxury to your interior. Choose from a variety of wood finishes to match existing wood paneling or select a patterned carbon fiber dash from the sport finish collection for a sleek and modern appearance. Don’t settle for factory interiors; customize your dash to your exact specifications instead!